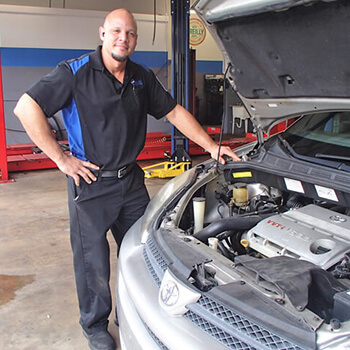 Auto Solutions was founded by Juan Barrera with one goal in mind, to give Orlando drivers a better option for vehicle maintenance and repairs. Too often, we hear about unethical auto repair shops that are only out to make a profit. Juan set out to change that reputation by offering high-quality repairs and friendly service. Our team is made up of only the best Orlando mechanics. We take pride in our work and it shows. Every member of the Auto Solutions family puts the customer first. 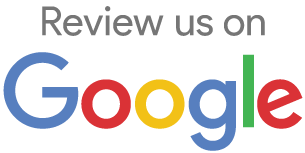 Our honesty, integrity, and quality of work are why we are one of the top-rated auto repair shops in Orlando. Juan’s passion for cars started early. Right after high school, he followed that passion and enrolled in technical school. He eagerly learned everything he could about auto repairs both in class and by doing independent research after hours. 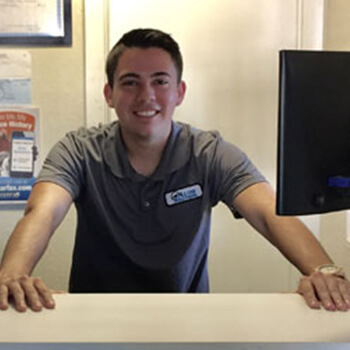 After working several years at a New York dealership, Juan made the decision to make the move to Florida and start Auto Solutions with his best friend Joseph. Juan’s specialty is in computer and electrical diagnostics for both import and domestic cars. He started Auto Solutions to give customers a better experience and he sees to that every day. He is always ready to answer questions and ensure customer satisfaction. Gonzalo fell in love with cars at the young age of 12. When he was finally old enough to begin working and afford a car, his passion blossomed into what it is today. His passion for motorsports has brought him far and has taught him a vast amount over the years as he has pursued this hobby on his own. 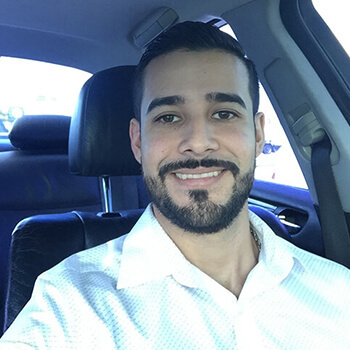 Gonzalo loves working with cars and providing the absolute best customer service he can to his clients. He has 5 years’ worth of experience in customer service, and for him this is much more than just a job. 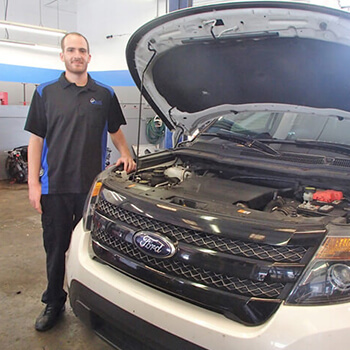 He gets to live and work in the field he loves every day while also getting the opportunity to help clients fix their vehicles and establish a trust between each other. It is this very passion for cars that makes Gonzalo so exceptionally well at his job and relaying information to the customer so they can feel informed and safe with whatever auto repairs they might require. William has had a passion for cars ever since he was little. Once he turned 16 and began owning his own vehicles his love for cars has developed into an extreme passion for auto repair service. For the past three years William has been building cars to race, from full motor rebuilds to suspension and electronics. His speciality is domestic cars, building both four cylinders and V8s. William spends most of his free time away from the shop working on his own projects such as his own car or a friends car. He loves working on cars and is very eager to work for you! Hello, I’m Edwin. I am ASE Master Certified Technician. I’ve been in the business of automotive repair approximately 15 years. I obtained my technical training at Mid Florida Tech in the automotive service technology program. Since then I’ve worked at several independent shops as well as several dealerships. I’ve progressed in my profession. And continue to learn. I’m passionate about what I do. And have a personal drive to be the best. But when it’s time for fun or relaxation there are other things more important in life. 1st and foremost is my 11 year old daughter Olivia. She is my motivation. For fun I’m an avid Motocross and Supercross fan and rider. Never miss the Daytona Supercross event. I’m a proud member of the Auto Solutions team. And look forward to caring for your vehicle.